A) 2mins two touch box. 2mins one touch box. (4mins). C) Over three mini hurdles then cutting through two poles splitting time between left and right foot cuts. (3mins). 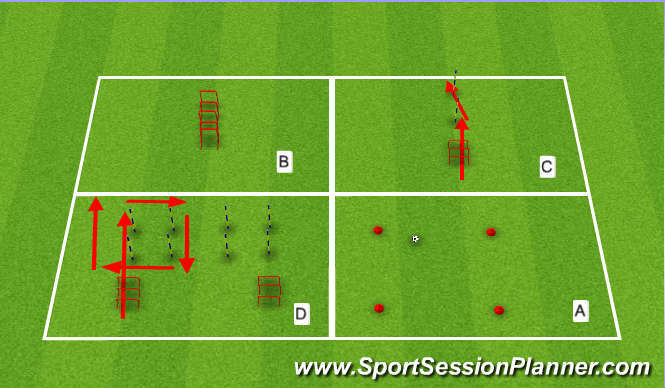 D) Over three mini hurdles forward to second pole, side shuffle to pole, backwards shuffle to pole, sideways again, burst forward past final pole. Split time between shuffling in different directions (4mins).